Fabulous - look like a Christmas Card. 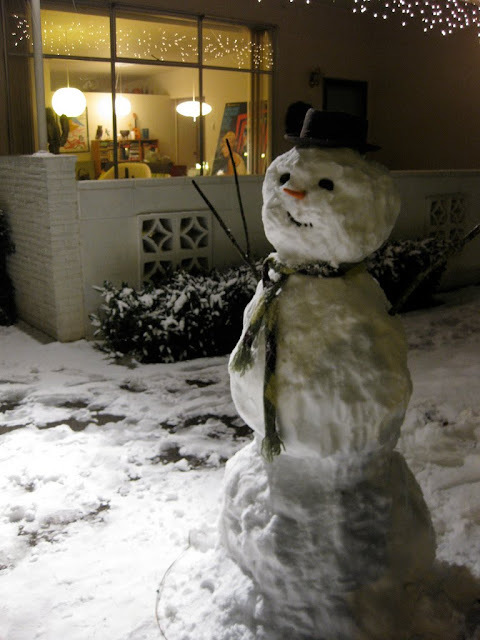 It`s a verry nice snowman! I wish a good new year! Susan from the farbenwerkstatt from germany! You have snow in Portland!!?! Just listened to your interview podcast with Creative Thursday and you are just great! I like your snowman!